Our website address is: http://utilitiesunlimitedinc.com. Information you input into our contact forms is sent by email to one of our representatives at Utilities Unlimited, Inc. The data may remain in their email account until they clear it. Our contact forms are secure but are not intended for sharing of confidential information. A copy of contact form submissions remains on our website's database indefinitely, until it is removed by an administrator. We will not sell your data to any third parties. Visitor comments and form entries may be checked through an automated spam detection service. 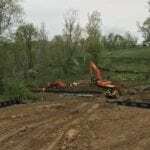 Utilities Unlimited Incorporated is a privately owned full service utility contractor located in Sykesville, MD. 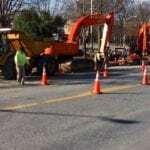 Since 1987 Utilities Unlimited Incorporated has provided the Maryland area with full site development services. 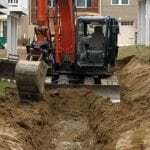 With our main focus in underground utilities, we also offer services in excavating, clearing, pumping stations, and tank installments.